1st in Puppy dog, Best Puppy Dog and BPIB at Midland Counties under Mrs Z Thorn-Andrews. 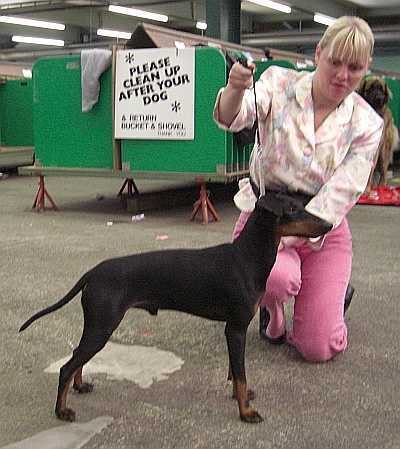 Darchy is also handled by his owner, Sarah Leigh who has had fantastic success at open shows and won BPIS at the Manchester terrier club show under Mrs Jill Knight. I would like to thank Sarah for working so hard with Darchy behind the scenes and turning him out so well for me to handle.